Eclipse is defined as “obscuring of the light from one celestial body by the passage of another between it and the observer or between it and its source of illumination,” according to dictionary.com . An extremely fitting name for what has been the world’s largest yacht many years running. Blohm + Voss’ 163m/536′ super-yacht Eclipse was built for Russian billionaire Roman Abramovich and launched in 2009 to much acclaim as it took the ranking of world’s largest yacht. 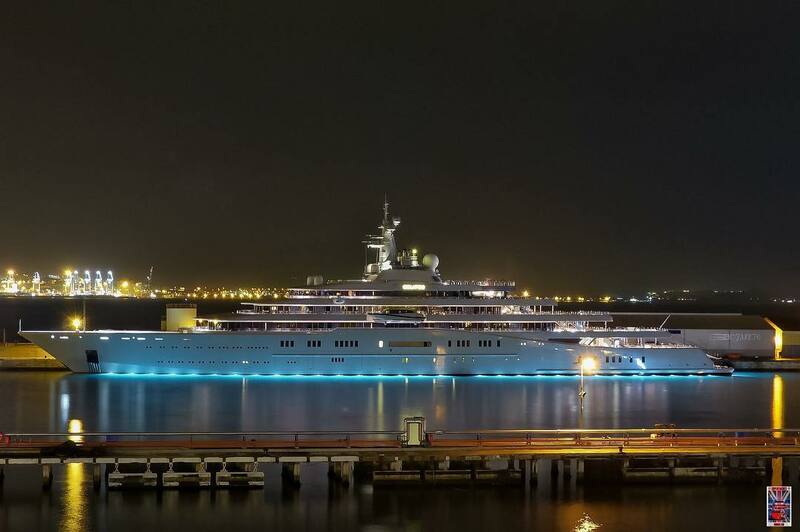 It has only recently been replaced by Lurssen’s Azzam which measures nearly 60 feet longer than Eclipse. 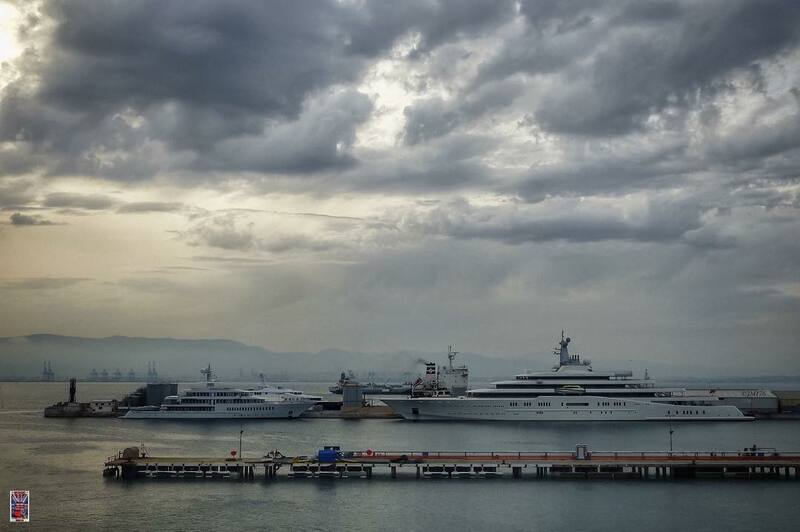 To help put Eclipse’s massive size into perspective below is a photo of Eclipse facing Feadship’s 288′ super-yacht Musashi, one of the top 100 largest yachts in the world. Eclipse simply dwarfs Musashi. Despite it’s current ranking as the second largest yacht Eclipse is still one of the most technologically advanced yachts afloat today and the source of much fascination and wonder in the yachting industry. For many years details regarding its features, amenities and interior were held in confidentiality and only somewhat recently have more details and photos about it emerged. To match the massive 536′ length Eclipse has a beam of 72′ with a 19′ draft and the displacement steel hull with aluminum superstructure will cruise at a speed of 20 knots. Amenities include everything one could possibly desire, especially on a yacht of this caliber: zero speed stabilizers, multiple swimming pools, disco hall and dance floor, two helicopter pads, on-board gym, elevators, jacuzzis, a tender garage and much more. The tender garage is complete with a small fleet including multiple tender vessels and a submarine. For extra security Eclipse is also said to be equipped with a missile defense system and bulletproof glass. Both the exterior and interior of Eclipse were designed by Terence Disdale. The interior accommodation is spread across nine floors and includes 18 cabins with accommodations for 36 guests and room for a crew of more than 70.